Communication is very critical in every aspect of life. It’s through communication that we express what we feel, our needs, and our expectations. Good communication is the key to a prosperous business. In a corporate setting, teamwork is essential, and employees answer to their boss. If you run a business, you manage and instruct your employees on what to do. If it were not for communication, businesses would fail terribly. So, communication is the key to the prosperity of all businesses, but, what is the importance of effective communication? In today’s offices or workplaces, people from different ethnic and national backgrounds communicate and work together towards the same goal. Therefore, learning how to speak and understand diverse people will not only improve leadership skills, but it also prevents conflicts and enable workmates to accomplish their goals. It also helps to improve or advance career prospects. Speaking effectively and listening actively helps even shy people come out of their cage and function better socially. Whenever you are in doubt or uninformed, asking questions, listening to your superiors, workmates, and employees and finding common ground are the quickest ways you can become social and prosperous. Personal conflicts usually start with simple misunderstandings. At times, you can avoid conflict but through a good and effective communication you can prevent disagreements, and whenever things go wrong, you can handle the situation. You should never underestimate the importance of improving communication. Learning how to improve the skills is a growing and developing lesson that will continue forever. Almost every person has come across people who don’t embrace new ideas, but even those people’s minds can be changed through active listening, consensus building techniques, and most importantly assertive communication techniques. Effective communicators have better relationships, greater financial success and more fulfilling lives than those people who never care about improving their verbal skills or enrolling to an institution for the same. As far as the importance of effective communication is concerned, you need to know the modern forms of communication and their impact. Modern technology has made communication easy through software, sites, and tools. Improvements are being continuously made on the already existing devices to make communication better. One of the tools for modern communication is cell phones. Since 1980, cell phones have evolved, and now they have become small computers that we can use from anywhere. There are software or apps like Twitter and Skype that have done online communication work wonders. Today, the world is obsessed with social media, and the world has become a global village. Before social media, we only interacted with people we knew. The Internet has changed that and strangers from different parts of the world are interacting and becoming friends, associates, lovers, and even couples. However, social media is a double-edged sword. As much as it has enhanced free and easy communication, it has also influenced young people’s behavior, academia, and social and family relationship. It’s incredible to have social media, and it helps the world, but on the other hand, it distracts the millennials from everything else going on around them. As mentioned above, technology has impacted communication and changed how we live. It has affected face to face communication both positively and negatively. People can now communicate through social media, email, video conferencing, chat messengers, video calls, emojis, videos, images, chats, etc. Before smartphones became part of us, people were more focused on what was happening around them, their goals, and were more productive because there were no distractions. People were also creative because information was hard to reach. The communication gap also facilitated small competition. It wasn’t destructive and viral like it is today. But like we said, technology has a positive and negative impact. Many people know Linkedin as a one-stop site where they can find work, new opportunities, and sell their services. Many sites offer the same services, some of them being Glassdoor, and Indeed, but Linkedin is the most common. 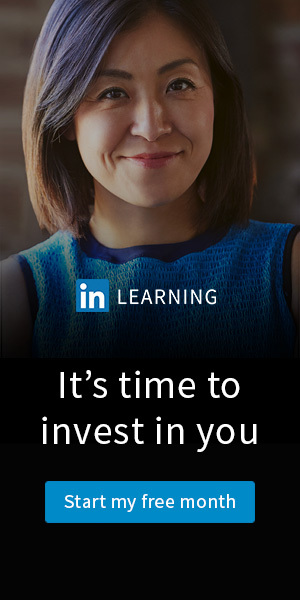 Linkedin Learning provides lessons for those who want to study or learn through the platform. You get to learn from the best and skilled experts. You also get to understand tech, business, and creativity from your device. Some of the business courses they offer are Career Development, Customer Service, Business Software and Tools, Sales, Human Resources, Finance and Accounting, Marketing, Project Management, Training and Education, Professional Development, and Small Business and Entrepreneurship. There are more business courses offered on Linkedin including business management courses online. The platform also offers over 2,000 creative courses including AEC, Audio and Music, Graphic Design, Animation and Illustration, Photography, Motion Graphics, and VFX, User Experience, Video, Web Design, and Visualization and Real-Time. Some of the featured creative courses are HTML Essential Training, Photoshop CC 2019 Essential Training: The Basics, and Premiere Pro CC 2019. Linkedin Learning also offers more than 1,500 courses online including Cloud Computing, Database Management, Data Science, Mobile Development, Security, DevOps, IT Help Desk, Web Development, and Software Development. Most of the students who studied via the platform are Python experts and programmers. You will discover, learn, and develop skills according to the recommendations on your Linkedin profile. You can also learn from your mobile phone or laptop even when you are offline. You will be coached by experienced persons and industry experts who know how the real world works. If you have a business of your own, you can develop your managers by enrolling them to the e-learning site so that they can improve their skills, influence your entire workforce, and improve the productivity for your whole business. Civil servants aren’t left out either. They can also pick a training program and study online at their own time. You can also rely on Linkedin Learning as a lecturer or if you want to engage your students with some deep-detailed online video tutorials. Your fellow staff and alumni can also use the site for their day to day tips. The one-stop site will discuss with you about how learning online will benefit your business, how they will maximize team training, and promoting personalized development for you and your employees among other topics. The skills covered in this course are communication and decision-making. Every professional needs a set of skills to perform a role in the workforce. There are some short videos to teach you. Each video digs deeper in a core skill to break it down and make sure it is as informative as possible. You will learn essential skills like decision-making and effective communication, two vital organs of a business. In two minutes, you will learn how to manage time, make your work a priority, handle conflicts, and much more. Britt Andreatta, leadership coach and director of learning and development at Lynda.com shares her ideas for experiencing difficult conversations. Her four-phase course will help you know the situations that result to difficult conversations, help you decide when the conversation should be warranted, interact, and monitor the outcomes. As you go through the course, learn how to make successful interactions out of difficult conversations and enhance communication. You will be equipped with the skill of improving personal and professional relationships and solving conflicts. The course is part of professional development units (PDUs). Before you fit to help others, you should first equip yourself with the necessary skills and knowledge in order for you to convey information professionally and compellingly. From this course, you will learn how to train your students in the business environment of today. The trainer shares his experience, techniques, and strategies that lead to better outcomes. You also learn how to overcome the barriers to learning and also to bolster your communication skills. The skills covered in this session makes you better at public speaking, coaching individuals, and also a leader to your team. Communication involves the speaker and the listener. There is a big difference between hearing and listening. Listening is paying attention to what you are hearing. I cannot insist enough that listening is critical. Whether you are in an interview or a boss in a top company, listening is important. Communication experts manage this course, and they show their learners how to understand effective listening and challenges like distractions, and accessing your present listening skills. The course also develops you as a better mentor, colleague, friend, improves your behavior and makes you a better listener. What is a cross-functional team? It’s a group of people working toward one goal even though they have different functional expertise. It can be inclusive of people in marketing, finance, operations, and human resources. There are usually some team demands that every team member faces and their team leader acts more from influence rather than exercising his direct control. This course outlines the skills you need to manage a team, communicate effectively, and resolve conflicts. There are many more courses that you can pick from Linkedin Learning, some of them being about effective communication. It’s a fact that communication makes the world prosper and learning the importance of effective communication will make you a better and responsible team player and a prosperous person.